In an effort to attract more Japanese investment, Prime Minister Sheikh Hasina on Sunday reassured Japanese investors and entrepreneurs of providing the highest security for Japanese individuals and installations in Bangladesh, reports UNB. “I’ve instructed my government to ensure the highest possible security for Japanese individuals and installations operating in Bangladesh,” she said. The Prime Minister said this while delivering her statement with Japanese business leaders during a breakfast meeting here in Tokyo. Chairman of the Japan-Bangladesh Committee for Commercial and Economic Cooperation (JBCCEC) Teruo Asada, Chairman and CEO of Japan External Trade Organization (JETRO) Hiroyuki Ishige, President of Maruhisa Company Limited Masahiro Hiraishi, Director and Executive Vice President of YKK Corporation Hiraoki Otani, President and CEO of Toshiba Corporation Masashi Muromachi, President and Director of Shimizu Corporation Kazuyuki Inoue and Operating Officer and Director for Motorcycle Business, Honda Motor Company Limited, Shinji Aoyama spoke at the meeting. Foreign Minister AH Mahmood Ali, PM’s Principal Secretary Md Abul Kalam Azad, Foreign Secretary Md Shahidul Haque, Bangladesh Ambassador to Japan Rabab Fatima, FBCCI President Abdul Matlub Ahmed, and top Japanese business leaders and leaders of JETRO, among others, attended the meeting. Hasina also said the government is attaching top priority to the safety and security of investors and foreign nationals because of some recent incidents in Bangladesh. Hasina said she wants her Japanese business friends to take advantage of Bangladesh’s youthful workforce and emerging opportunities and thus collaborate in SME sector, RMG sector, developing value chain for jute alongside coming Japanese banks and businesses in Bangladesh. “Let me again assure you: my door is open for you! I want our Japanese friends to take advantage of our youthful workforce and emerging opportunities in Bangladesh,” she said. The Prime Minister said at present, her government has been working to upgrade some of other existing economic segments—like jute, fishing and textile manufacturing—and encouraging the RMG factories to become green. 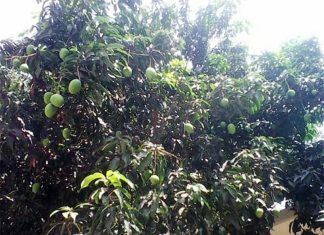 “There’re opportunities for collaboration as Bangladesh RMG sector goes for up-scaling. 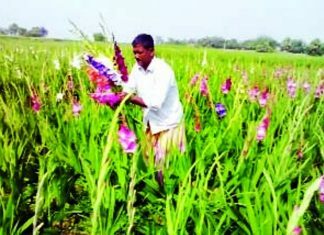 As our scientists decode jute genome, Japan may collaborate with Bangladesh in developing its eco-friendly, advanced industrial lines globally and also in Japan. So much potential is there in developing value chain for jute,” she added. Since many of Bangladesh’s factories and infrastructure will need retro-fitting where Japan is a global leader, Hasina said Japan can also step in meeting Bangladesh’s needs for energy-intensive, climate-resilient, water-intensive, solid waste-processing and low-wastage power distribution. Mentioning that Bangladesh is working on launching its Sovereign Bond, Hasina said more debt and equity instruments are coming up while one way forward could be for more Japanese banks in Bangladesh, Japanese investments in Bangladesh. 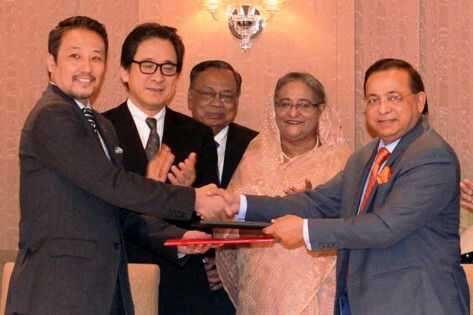 Responding to the requests of the Japanese businesses for incentive packages, connection and supply of energy and utilities, relaxation of certain tax provisions, Hasina said she had instructed her government to ensure the highest possible security for Japanese individuals and installations operating in Bangladesh. As the Japanese society moves into a ‘robotic evolution’, she said that Bangladesh economy will have much to collaborate in areas like ‘imaginative software’, ‘shared/ cloud-based processing’, evolving generic computing architecture. The Prime Minister said Bangladesh’s Pharma, shipbuilding sectors are new frontiers that may interest Japanese businessmen while the country’s Blue Economy offers a large menu of opportunities. “You all may look at Bangladesh SME sector which holds promise for the way Japan engaged in Thailand. Perhaps, Bangladeshi light-engineering products could be fed into Japanese heavy industries and ancillary commodities. That can help you position for markets India and around,” she added.